A home week & a prep week. Netflix & the internet kept me company. The excitement is building in me for our Mexican Sunday Supper, I can’t wait for the cooking to begin. I have always had a love of Mexican food, early on it definitely a love of Aus-Mex but have enjoyed learning about the authentic cuisine. 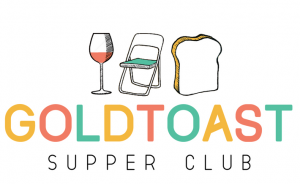 I have done a few Mexican events over the history of Goldtoast. including a Mexi-Brunch & Cantina secret supper. Weekday cocktails happened at Ragdoll Dining with the wonderful Sal of Cusp Living. Missing my dear friend Willis. There was a while when he would sneak out of his yard the second Jess left home. This meant she would drop him to me on her way to work. I loved having him around, he was such a babe. He became known to all the locals, we’d go for coffee at My Giddy Aunt everyday and he befriended everyone. He was a real ladies man. I miss those days. Do you remember Holly’s in Kmart? I am an avid Kmart shopper but oh boy do I wish I could still have a toasted cheese & tomato sandwich in store. Every part of me wants to make this. It’s so funny & strange but then it makes so much senses. Like pretzels & ice cream. Previous Post Lovely to have these three along!